We're back again with some Halloween fun this time. It's been two years since I last covered Halloween, So I have two great ideas below that you can use in conjunction with all the fun from our last Halloween post. Last week I shared some great Scavenger Hunts and a nice autumnal craft too. Lets kick off with this great treasure hunt. Last time I made one of these it was for the launch of Frozen! way back when. Now this is a super simple game, just hide 7 of the clues around the house making sure the last one is left with a prize. You give the kids the first one and let them loose to figure out the clues. For prizes you have lots of options, you can use sweets, maybe even some sweets at each clue? or my preference is to use Halloween toys as a prize for each guest at the end of the treasure hunt. Decide on how difficult you want to make this hunt. For younger children you will need to simplify, so for a clue like "Next to something orange and round" you can put the next clue in full site on top of a pumpkin or for older kids you can make sure there is an orange light bulb with a clue next to it or sat in a fruit bowl under a tangerine. Little touches like this make this treasure hunt super practical and fun. Another idea to take this to the next level is to make sure the lights are down low. Now you have an even more spooky hunt and it makes it harder all at once. Don't forget with the lights down low you can always add in some surprises like getting someone to jump out at the kids near one of the clues or get an automatic decoration like the one below. Again this is for older kids. Now thats awesome but how about this delicious drink, sshhhh don't tell the kids that it's super healthy for them but trust me this does taste great, it's all about marketing. Call it a Swamp Monster Smoothie and place a spooky straw in it and the kids will love it. Measure out the orange juice and pour into your blender, then add the spinach leaves. Roughly chop the cucumber and apple and add to the blender. Break the banana into small chunks and add to the blender. 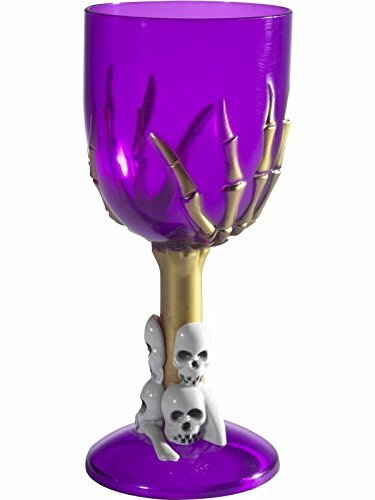 Blend on high speed until smooth, serve adding in a spooky straw or try serving it in a spooky cup? Thats it for this week, but make sure you come back next Tuesday for more fun, get the kids excited for Bonfire Night.